Isaiah had spoken of John when he said, "He is a voice shouting in the wilderness, 'Prepare the way for the LORD's coming! Clear the road for him! The valleys will be filled, and the mountains and hills made level. The curves will be straightened, and the rough places made smooth. And then all people will see the salvation sent from God.'" 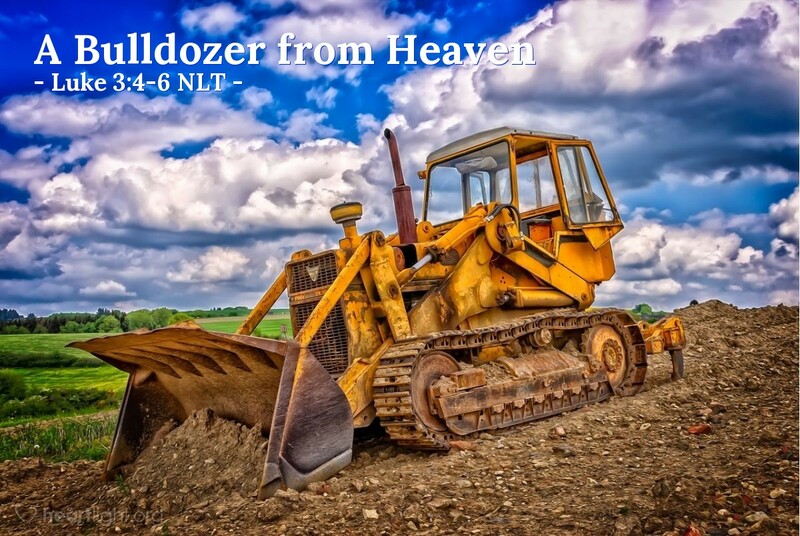 Isaiah had foretold of a "bulldozer from heaven" that would straighten the roads, level the hills and fill in the valleys so people could find the Savior. Does your life do these things for others? Does it help them see Jesus more clearly? Does it show the transforming power of God at work? All of us are called to be like John, to make the road to Jesus a little easier for others to navigate so that the hard part about following Jesus is NOT finding our way to him. O LORD God, please use my life to influence others to come to know your salvation. May my life never be a stumbling block, but instead, may it be a help to others looking for your hope and healing. In Jesus' name. Amen.